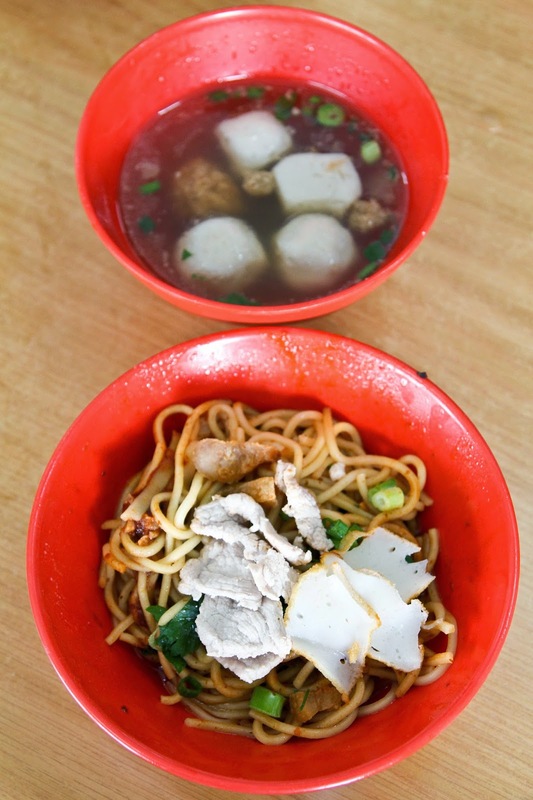 If you like old school tasting fishballs (chewy, dense, firm and fresh), head down to Lai Kee Fish Ball Noodles. 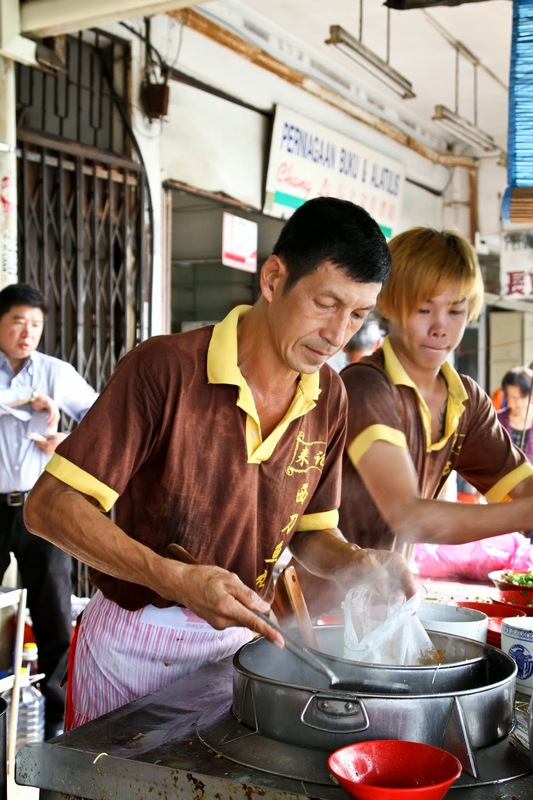 The fishballs are handmade daily from ikan parang (known as Wolf herring in English or 西刀鱼 in Chinese). "Ikan" means fish while "Parang" is a Malaysian and Moluccan big knife, similar to a machete. The name Ikan Parang is apt since the fish looks like a long blade. 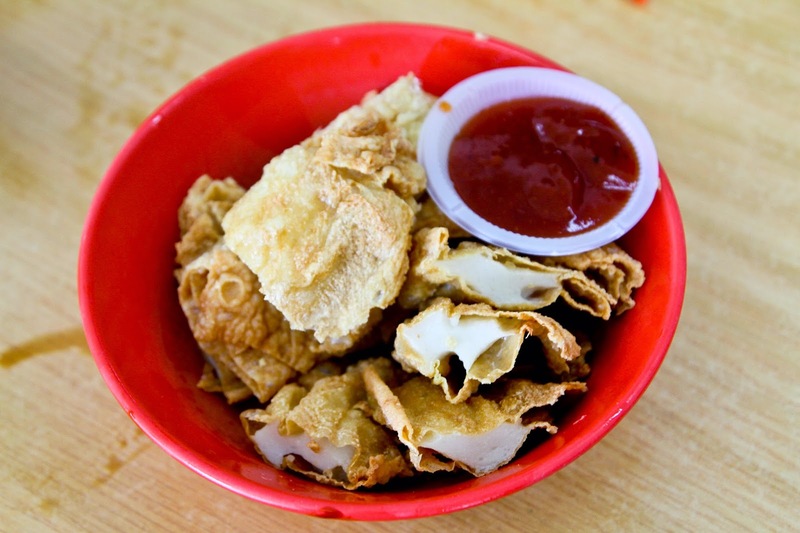 Click here to see an image of an Ikan Parang. 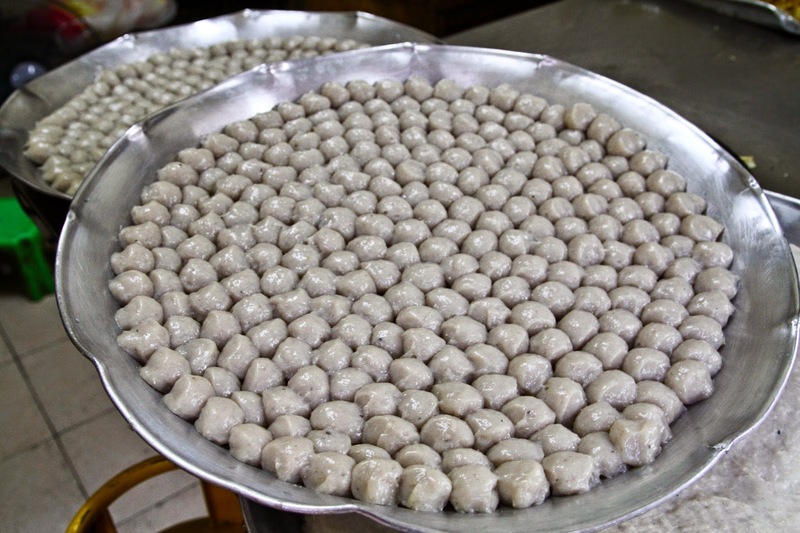 The use of Ikan Parang allows for "sweet" fishballs without the the fishy smell. 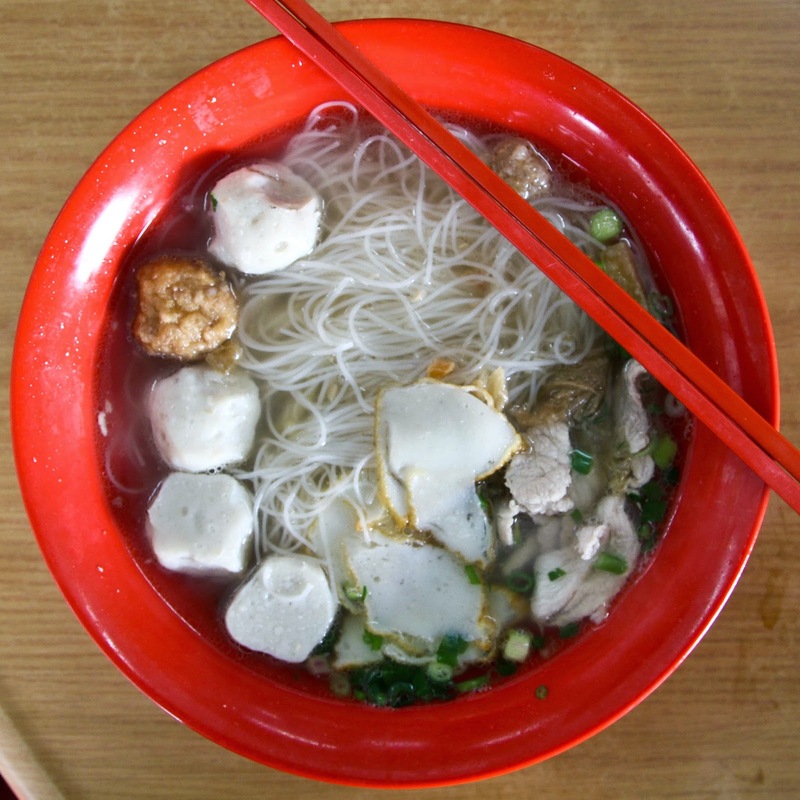 Lai Kee Fish Ball Noodles was recommended by a local when I was having lunch at Tua Thow. He mentioned the legendary 30 minutes wait before getting your noodles. I knew that this is a store I have to visit since Singaporeans queue for everything. And guess what! 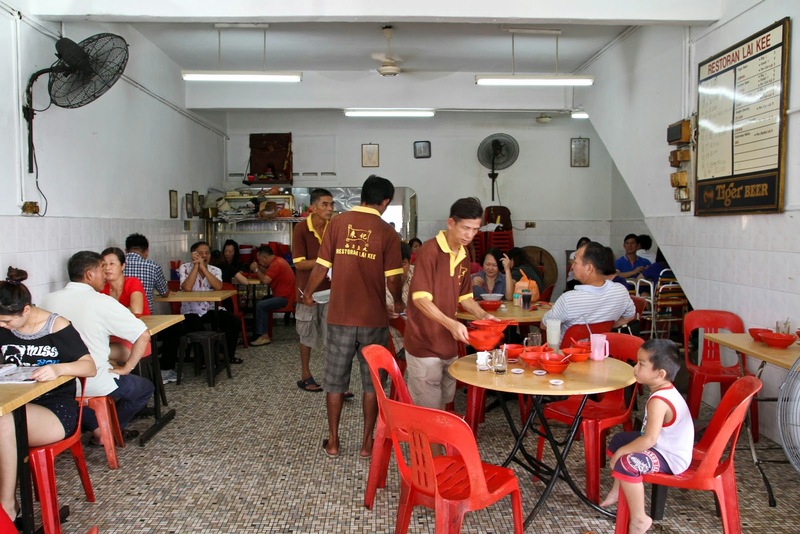 There were many locals as well as Singaporeans at Lai Kee Restaurant. I waited close to 30 minutes on a weekday morning before my noodles were served. While waiting, order some fishcakes which are made on site. They are extremely soft and chewy. You will have to find a seat and one of the staff will come over to take order. Payment is made once everything is served. Friendly people who allow you to roam in their kitchen at the back of the restaurant where they make their fishballs. 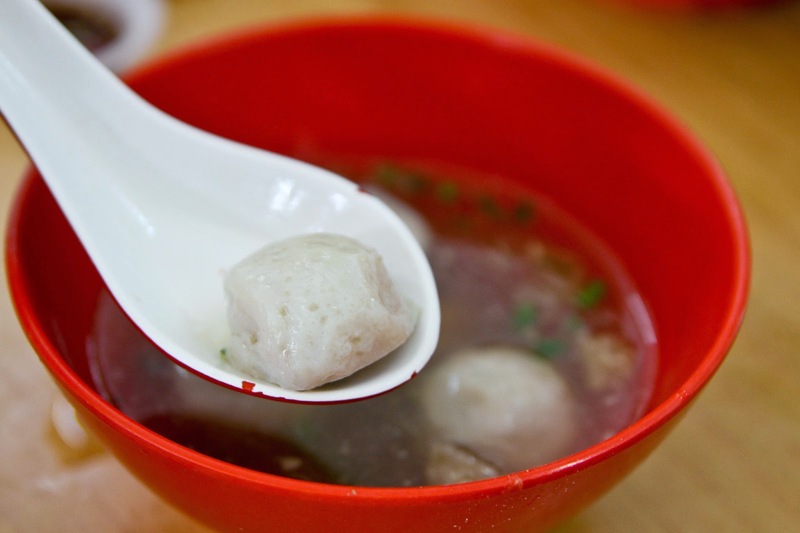 Come here for the dense, chewy fishballs! Different from what we have in Singapore which are springy and soft. Large plates of fishballs being made at the back of the restaurant. They are placed on the plates which gives them a flat side, losing the spherical shape. The Fishcake which you can order while waiting. Tasted pretty good. MUST TRY. 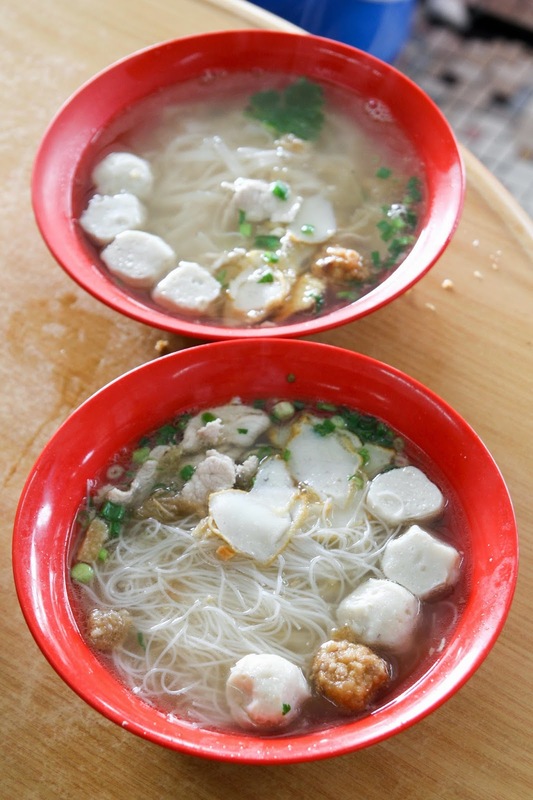 You could order the soup or dry noodles to have as carbohydrates to accompany your fishballs. A close up of the soup beehoon. I thought the dry noodles were a safer bet. Dry noodles with chilli. The noodles came out fine with the most of the flavour coming from pork lard in the chilli sauce. Not bad. Here is a picture of the boss who started this business when he was 22 years old! The classic interior with mosaic tiles. 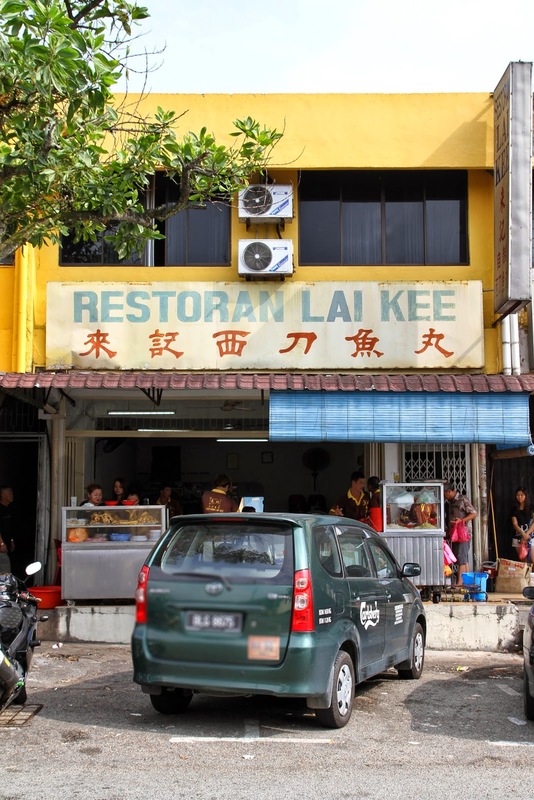 Restoran Lai Kee, one of the eateries in Taman Ungku Tun Aminah. A video I recorded during the visit. Check out the dance moves needed to make the noodles. - Come here if you like dense, chewy fishballs. Not for those that like soft, springy fishballs! - Do what the locals do and order the dry noodles!